Playing cards reproduction by Il Meneghello. 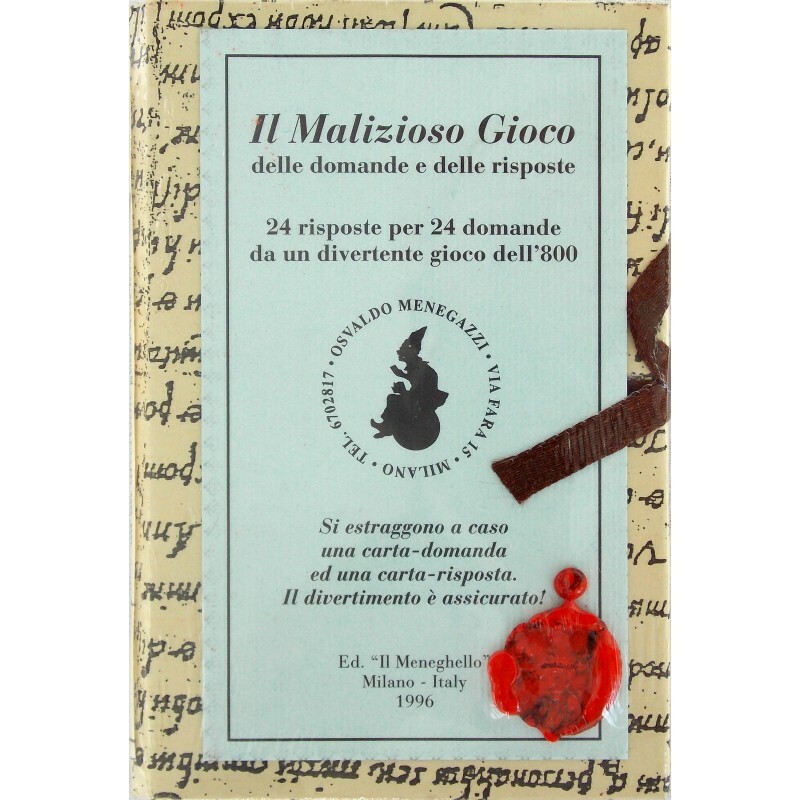 Il Malizioso Gioco Playing cards. Question and answer game in Italian. Reproduced from a 19th century game.